This photo needs to be looked at three, four at least five times to truly see the depth within. Beautiful! 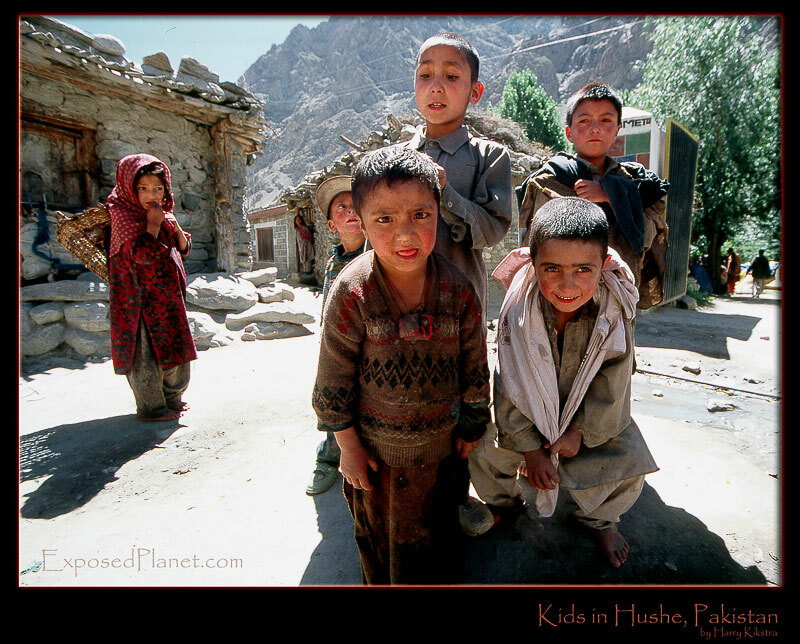 The story behind "Kids in Hushe, Pakistan"
At the end of our expedition to Chogolisa, we passed the small town of Hushe, the start of the road back to the real world. The children were interested and followed us around while we visited the small shops. Officially you are not allowed to photograph women or even girls, it is signposted in the village. The people are very friendly and interested, though a few regions we passed are women-unfriendly. Not that they bothered the 5 female members of our 10 person expedition, but they were mostly just ignored, even while they dressed properly according to local habit and culture. But in general we were welcomed by everybody, and some even spoke english. The nature is really stunning, from 8000+m peaks like K2, Nanga Parbat & the Gasherbrums to gorgeous valleys and fruit trees. Recommended for a great trekking: Skardu – Askole – Baltoro Glacier – Gondogoro La (pass) and down via Hushe, where this pic was taken. Submerse yourself in a different but friendly culture. Scanned from provia 100 slide, taken with Eos 3.